Although their campaign has concluded, if you would still like to make a donation to support ELeVATE, you may always do so here. The road back home for many returning veterans isn’t always smooth or predictable. After serving their country, these men and women are faced with challenges associated with gaining their place in a civilian world that doesn’t always understand or appreciate their military experience. For some, these challenges are multiplied when they begin to navigate the halls of academia. “Will I fit in with my classmates?” and “Am I up to the challenges of my program?” are just a few of the questions they face on campus. 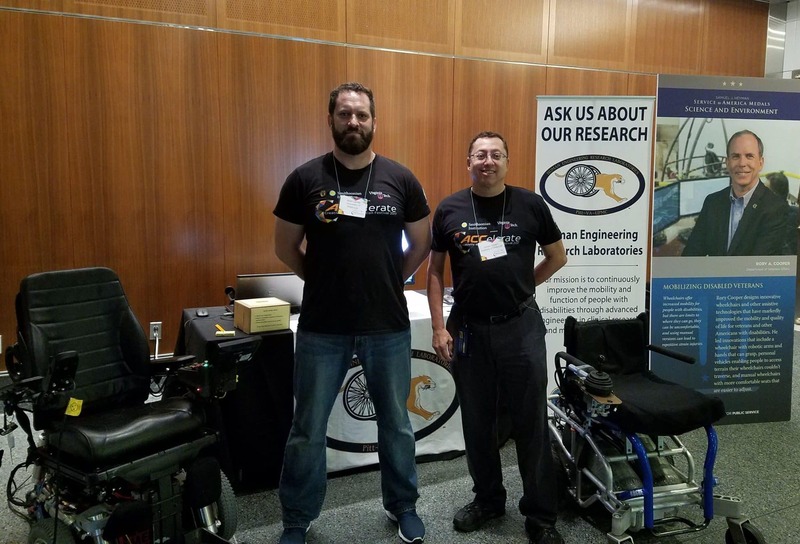 Since its inception in 2012, the ELeVATE (Experiential Learning for Veterans in Assistive Technology and Engineering) program at the Human Engineering Research Laboratories (HERL) has positively impacted the lives of former military pursuing degrees in the STEM fields. ELeVATE is a program to assist wounded, injured, and ill Veterans transitioning into university science, technology, engineering, and mathematics programs, with a special emphasis on assistive technology and engineering. We’re asking for your help to raise $25,000 to support five deserving veterans for the 2018 cohort of ELeVATE. ELeVATE provides a solid foundation and network of support in all aspects of academic preparation, professional development, rehabilitation counseling, and community reintegration, increases the academic success of transitioning Veterans with disabilities. 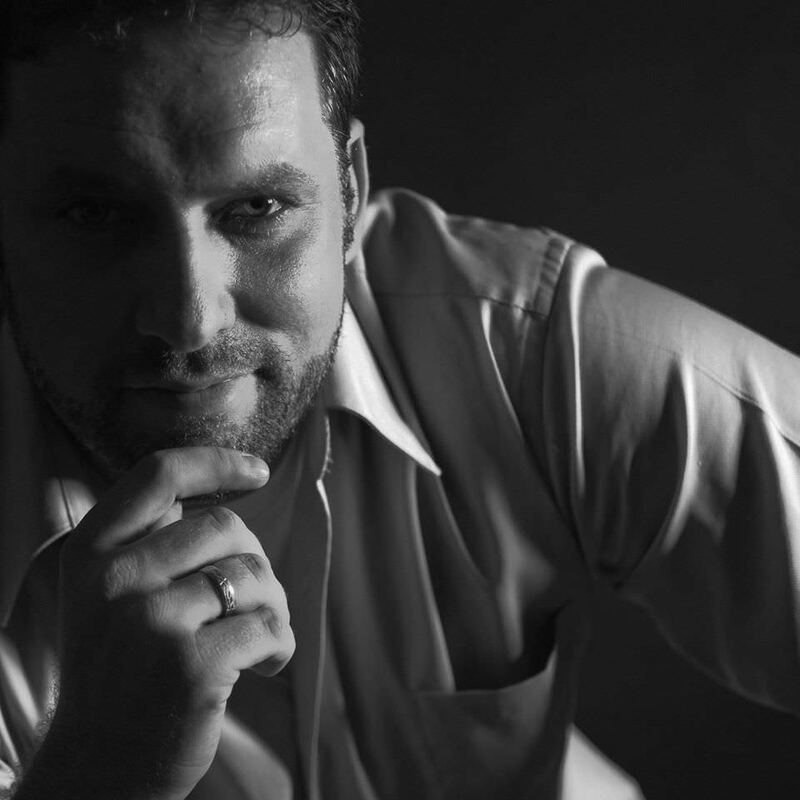 The goal of ELeVATE is to increase the enrollment, retention, eventual graduation at the college level, and career success of wounded, injured, and ill Veterans in engineering and technology. Through a three-phased approach, participants engage in experiential learning, rehabilitation counseling, mentoring, academic preparation, and career exposure activities. The components are designed to increase self-efficacy and outcome expectations which help participants achieve their performance goals as they enroll in and complete engineering and technology degree programs, and pursue a graduate degree or employment in engineering and technology. Matt Landis (left) and Jim Joseph, Gunnery Sergeant USMC (ret.) represent HERL at the ACCelerate: ACC Smithsonian Creativity and Innovation Festival at the Smithsonian Museum in Washington, DC. Matt Landis has an ELeVATE story that needs to be shared. A veteran, a husband, a father, an engineer, a mentor, and a past ELeVATE participant, Matt has given back so much to his university, his community, and his fellow veterans. After completing his degree in Electrical Engineering, Matt joined the HERL Engineering staff full-time, where he still mentors veterans. 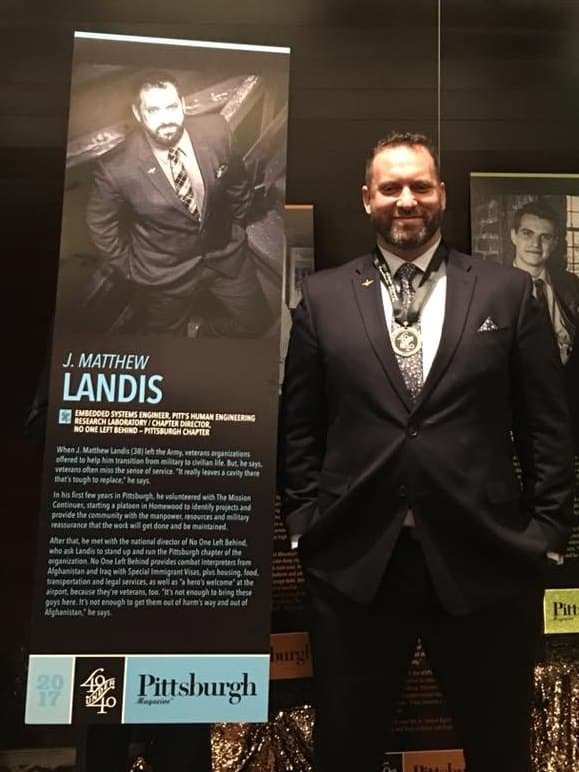 Matt Landis was recently honored as one of Pittsburgh’s “40 under 40” by Pittsburgh Magazine. We’re proud of Matt, and all of our ELeVATE graduates, and we hope you’ll allow such a meaningful program to continue to help future returning veterans. 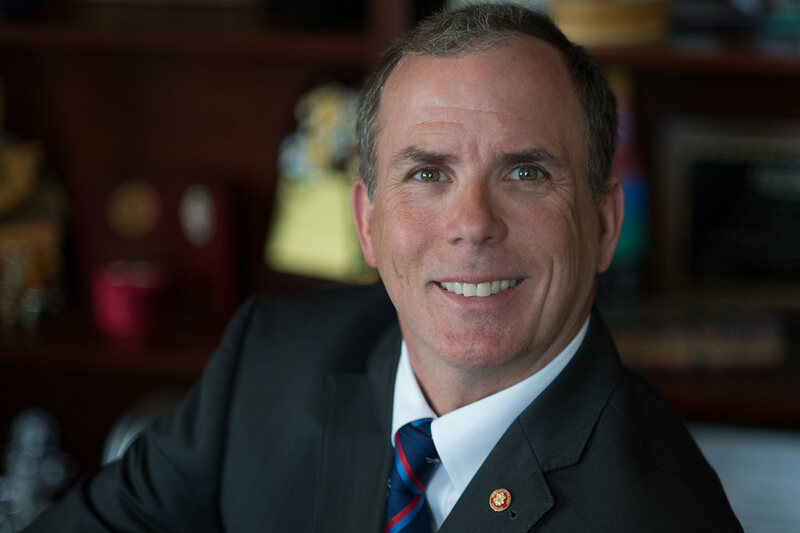 Founded by Dr. Rory Cooper in 1994, the mission of the HERL has been to continuously improve the mobility and function of veterans and individuals with disabilities through advanced engineering in clinical research and medical rehabilitation. HERL is dedicated to advancing education and career opportunities for veterans in STEM fields of study. A contribution at this level will cover the cost of program materials. Your contribution will cover the cost of preparing a vet’s poster board presentation. A contribution at this level will help cover the training stipend provided to vets during ELeVATE. Courage. Excellence. Character. Characteristics that define the soldier, and traits that will play an important role for former military as they enter college. Your gift signifies the highest level of respect and will instill confidence during and after their academic career.